The librarian at the local magical university is looking for an assistant: YOU. Your job is to shelve books as fast as you can. Click the shelf with the matching color or symbol to send the book flying--but watch out for the rogue magical books that will eat any lesser books they come across. The librarian is a real taskmaster, so if the bottom shelf fills up with books, you're fired! 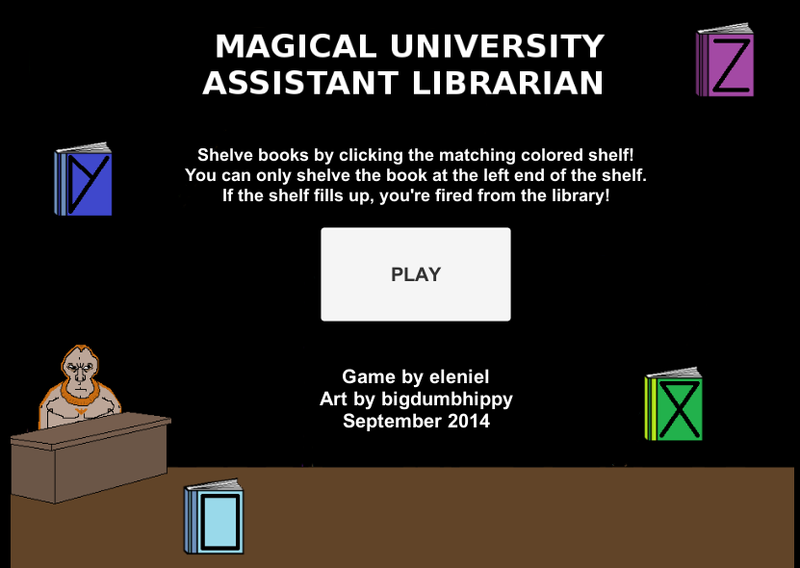 A simple arcade-style game, Magical University Assistant Librarian was made for the Philly Dev Night game jam for September 2014, and ported to Unity in April of 2015.